London is a celebration of rich diversity—think culinary excellence from Michelin-starred restaurants to traditional fish-and-chips shops; vibrant cultural conduits and luxury shopping opportunities; a skyline of historic architecture and futuristic skyscrapers; and myriad drinking spots, from traditional English pubs to swanky cocktail bars in the sky, all linked by the labyrinthine London underground (the London tube is the oldest subterranean rail network in the world). In addition, the London boutique hotel scene and the selection of luxury hotels London has to offer never disappoint visitors, with a hatful of Design Hotels member hotels in central London neighborhoods such as Shoreditch, Soho, Kensington, and Knightsbridge. 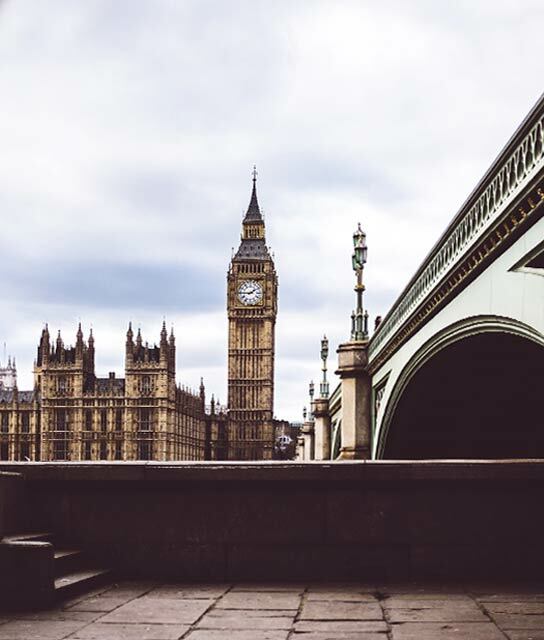 Stay at a London hotel from the list below and you could be within walking distance of some of London’s top sights, such as Big Ben, Tower Bridge, the River Thames, the London Eye, and a host of other hidden gems that are waiting to be discovered. Visit London now for a dose of ineffable big-city charm. Below find a list of our selection of luxury and boutique hotels in London. Designed by Anouska Hempel, experience far-off exotic lands in the privacy and sumptuous luxury of one of the world’s legendary couture hotels. Immersed in East London's thriving gallery scene, Boundary celebrates design with bespoke guestrooms inspired by legendary movements—from Young British to Bauhaus. Inside Kit Kemp’s carefully curated sanctuary of art and design, time seems to stand still—almost. In the midst of London’s famed entertainment district, the Covent Garden Hotel’s dramatic design commands center stage. A pioneering property in London’s Marylebone, reacquired and refurbished in Kit Kemp’s bold and eclectic signature style. Fusing contemporary and classical references in an ultra central London location, the Haymarket Hotel exudes effortless modern English style. In this eponymous Knightsbridge gem, Kit Kemp’s modern English style is abetted by original British artworks. A stylish restaurant and bar, chic interiors, a state-of-the-art theater, shops, a courtyard, and a 1950s bowling alley make up this inspiring urban village. Behind a bold concrete and steel façade on a quiet street in the heart of East London, Nobu Hotel Shoreditch serves up industrial allure and world-renowned cuisine by Nobu Matsuhisa. Kit Kemp’s custom textiles in each of the individually outfitted rooms are a study in elaborate detail and dramatic patterns. Holding court in the bubbling borough of Soho is another design gem of Tim and Kit Kemp’s London style empire. The former Bethnal Green Town Hall is a gateway to the East End—one of London’s hippest, up-and-coming neighborhoods.